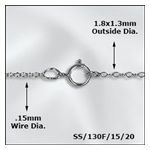 18"Sterling Silver Fine Flat Cable Chain. Sold individually. 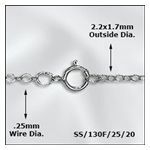 20" Sterling Silver Fine Flat Cable Chain. Sold individually. 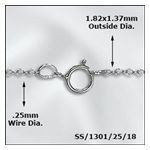 18" Sterling Silver Fine Round Cable Chain. Sold individually. 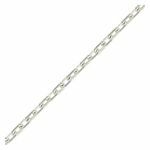 24" Sterling Silver Fine Flat Cable Chain. Sold individually. 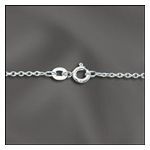 Attractive cable chain design in sterling silver. 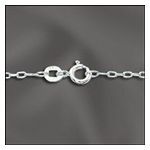 Attractive oval link cable chain design in sterling silver. 18"length.